I am excited to add Open Water Lifesaving courses to my list!! Although the Basic Life Saving skills are similar there are lots of different hazards and risks we could be faced with in the Open Water. The method of lifesaving is also different as you are commonly on a canoe or paddle board and we also learn different rescue techniques. With Open Water Swimming becoming an up and coming sport this is a great course if you want a job on the lakes for the summer or if you just want to stay safe in Open Water! I have designed this course to teach children Basic Lifesaving and First Aid skills as well as an introduction to Open Water Swimming. The course is a mixture of Theory and Practical work both in and out of the water. The theory side covers identifying and avoiding hazards, Dealing with a Conscious/Unconscious casualty, Recovery Position, CPR and the basic First Aid skills of identifying and dealing with common injuries and illnesses. The water starts off an Introduction to Open Water and a bit of lifesaving: how to keep safe and what to do if you panic or if someone else needs help and some basic rescue techniques. We learn how to put on and take off a wetsuit, how to acclimatize to the water, safety signs and communication, buoyancy and flotation and stroke work. 1 day Bolt on course - For those who have a valid NPLQ qualification. 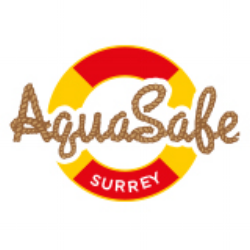 This course is added on to the NPLQ to allow trained lifeguards to work in Open Water Venues. It covers the Hazards and rescues in the Open Water. 3 Day course - For those who have no prior Lifesaving qualification and wasn't to Lifeguard in the Open Water. This course cover the Basic Life Support skills and techniques and all of the information and rescues needed for an Open Water Lifeguard. Divers Cove is on the East Lake Nature Reservoir near Godstone Village. There are two circuits available 450m and 650m, both clearly marked by large buoys. There in an onsite café serving hot and cold drinks and food, male and female heated changing facilities and toilets. The SHAC- Surrey Hills Adventure Company Lagoon is situated in the heart of the Surrey Hills in Buckland. The unspoilt natural Quarry lake is a beautiful way to spend time Wild swimming, paddle boarding or you can even try their stand up yoga sessions!!! Want to do it again!.